Ask fellow campers about "Sun Resorts RV Park" and nearby attractions. Park has an assortment of long pull thrus, shorter pull thrus and back-ins, all gravel with no patio or picnic table. The premium pull-thrus are quite long with multiple concrete sewer pedestals. There are night lights at the electric pedestals. The main road is paved. There are two fenced gravel off leash dog runs. There are two private restroom/shower rooms with chair and table. The cable tv has a channel guide. The big negative is the very slow wifi. We were traveling when the snowbirds were returning north so it was entirely full. Their rules prohibit the draining of your water heater for winterizing so we waited for our next stop farther north. There is an additional $4.50 tax. We camped at Sun Resorts RV Park in a Motorhome. Location is good. Limited facilities - no tables, grass, etc. The big issue is terrible (not usable) Internet. We stayed here before and it was the same thing - they said they would fix it - But NO - it's not usable. The owner must be too cheap to spend any money to even provide a hot spot in the office. If you need to book golf time, activities, etc on line - DO NOT STAY AT THIS PARK. We would never come back!!! Nowadays - having an acceptable internet service in an RV park is just the price of admission!!!! We camped at Sun Resorts RV Park in a Motorhome. Wide spaces of varying lengths to accommodate both trailers and tow vehicles, although not particularly level. Office staff very friendly. Wi-fi terrible. No picnic tables or fire rings. 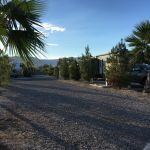 We camped at Sun Resorts RV Park in a Travel Trailer. Difficult to find. Best access is through the Smith's parking lot. Stayed here a few nights to check out Gold Butte area. The park is basic with gravel sites and paved roads. It is close to the freeway, so there is both freeway and local traffic noise. Next to a grocery store and diesel, which is convenient. Pet area is just gravel with a fence around it. We arrived early, but were not allowed to check in. Spacing is tight. We were in front of a gate to the grocery store parking lot. The gate was broke, so it banged against the fence all night. Would try for some place other than Mesquite next time. We camped at Sun Resorts RV Park in a Fifth Wheel. .Just stopped for one night, but the site was spacious. Power was a little low (as low as 116 volts). Water pressure was good. We camped at Sun Resorts RV Park in a Fifth Wheel. Nice long and wide pull through with shrubs between sites. Two separate water/sewer connection pads. Cable connection actually had a directory channel. Two separate fenced off leash dog parks. Two separate private restroom/bathrooms. Quiet. For those using this park as a stop on their way north, they do not want you to drain your water heater here unless you catch the water in a bucket because it "will soften the fine gravel base". However at our site their plant irrigation system sprayed water on the side of our coach and watered the gravel more then we would have draining our water heater. However didn't drain our water heater until in Ogden. WiFi was fairly weak although we were able;e to get online. We made reservations fairly far in advance inorder to get a spot as this seemed to be a popular stopover for snowbirds heading north and was nearly full the night we were there. No picnic table. Fairly dark at night with no street lighting and no lights in the dog park. Paved roads. Easy in and out once you have been there. We camped at Sun Resorts RV Park in a Motorhome. Nice stopover park...everything there. Smith grocery store just out the RV gate, propane nearby, laundry, friendly staff, long pull thru sites. Coffee in the morning, pool table, excellent cable....wifi weak. 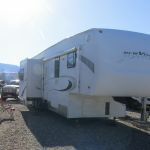 We camped at Sun Resorts RV Park in a Fifth Wheel. If you play golf...lots of courses nearby. St. George is 45 miles away thru spectacular canyons and it is a much larger community with some historical points of interest. This campground is easy to find right off the interstate. Check-in was quick and easy. Front desk staff was friendly and helpful. Interior roads are wide and easy to navigate. Sites are wide and long. Full hookups are positioned correctly and worked fine. Good Verizon cell service. Lousy WIFI. Good cable TV. Not great for dogs, but there is a city park right across the street with lots of grass. Sites are gravel and level. This is a smaller park, but it's really nice. There's a Smiths shopping center right next door. Casinos are close. This is a nice place. We've stayed here before and we'll stay here again. We camped at Sun Resorts RV Park in a Fifth Wheel. The staff at Sun Resorts were very nice and extended our stay when my wife became ill and needed to rest awhile. The pull through space we were assigned was large and wide more than enough for our travel trailer and big rigs I saw at the park. The site was gravel and fairly level. all connections to include cable worked great. WIFI was not good but the area in general has bad WIFI. The laundry room was very nice and was reasonably priced. I did not use the other facilities but am sure they are great judging by the overall looks of the park. I would highly recommend this park for long or short term stays. We camped at Sun Resorts RV Park in a Travel Trailer. Didn't use restroom facilities but heard several good comments about their spaciousness and cleanliness from other campers during our stay. Curiously, no mail service available at the park (and couldn't find a mailbox anywhere nearby). We camped at Sun Resorts RV Park in a Motorhome. We have stayed in this park on 2 other occasions on an overnight basis. It is quiet and close to grocery stores, restaurants and casinos. The sites are level, gravel and easy to get in and out of. They are a bit close together and do not have any picnic tables. We camped at Sun Resorts RV Park in a Motorhome. If possible ask for a site on the front row which makes it easy to pull out when leaving. Nice park for an overnight stay. Paved roads and gravel sites. Easy access off the freeway. Fenced dog area was very small, but there's a grassy park just a 5 minute walk away. Front desk person very friendly and professional. Smith's Grocery literally next door. We camped at Sun Resorts RV Park in a Motorhome. There's a shopping mall with a Smith's anchor store right next door. The park across the street has plenty of grass for dog walking. Two of the three big casinos in town are just up the street. If you don't gamble or golf, there doesn't seem to be much else to do in town. Smith's Supermarket is literally right next door. Smiths grocery is right next door. Several casinos in the vicinity as well as golf courses. Are you affiliated with Sun Resorts RV Park ?